From the biggest game reserve in Tanzania to a private island within a pristine coral reef in Mozambique, Africa has it covered. Hippos are noisy creatures to live with. They are very territorial and can be quite cranky. I know this after sleeping not that far from them on the banks of the Ruaha River in Tanzania. 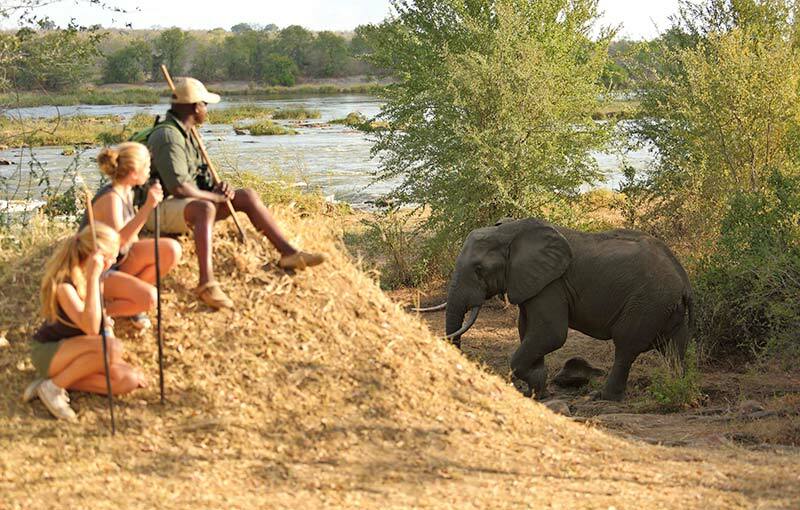 I am in my accommodation at Azura Selous, a gorgeous half-tented half-stone villa just metres from the fast-flowing waters of the river, but even the sound of the current can’t cover the grunting, snorting symphony of these beasts. 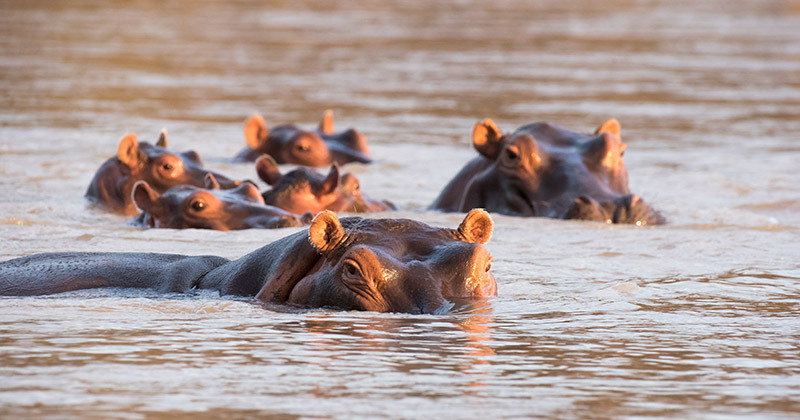 There are hundreds of hippos in the river, and after watching my neighbours over a few days it is obvious that they are well named. Hippo is Greek for ‘river horse’ and these beasts, who are related to whales and dolphins, are certainly at home in, under or by the river. It isn’t just hippos we see in The Selous, which is the oldest and biggest game reserve in Africa, and World Heritage-listed to boot. 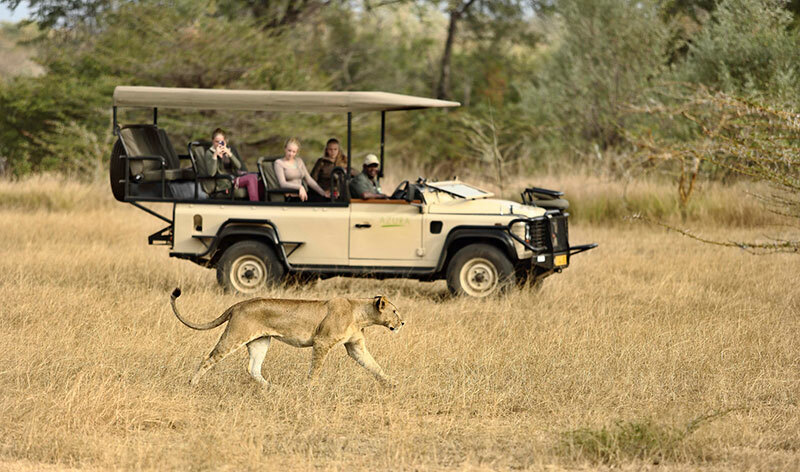 On the safari drives with our lovely natured guide and driver Joseph, we see plenty of lions, giraffe, and elephants, and enjoy some special experiences. One morning, Joseph pulls onto a sand bank by the river and sets up a gorgeous sit-down breakfast complete with Scotch eggs, cinnamon scrolls and individual jars with granola, yoghurt and fruit. There are hippopotamuses nearby, and he says the name for a group of them is a pod, herd, dale or bloat. A bloat of hippos it is, and it totally suits. Not so bloated is a hippo that has been killed by a lion, and while we didn’t witness it, we saw the aftermath after the lions had had their fill. 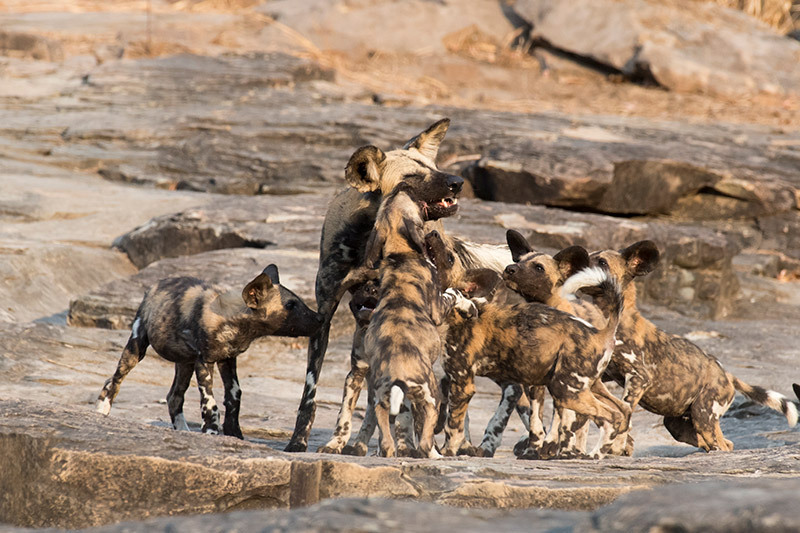 Not 24 hours afterwards, a wake of vultures and a hyena have taken it in turns to eat the hippo and we are both repulsed and fascinated as we watch the hyena virtually disappear inside the hippo to snack on the remaining sinew. Front row seats to the circle of life. Joseph has a surprise for us, and after night falls and we finish our evening game drive, we pull up to a clearing and find a magical dinner setting for all the guests. The lanterns set the scene below and the moon rises above, as we sit on long tables and chat with people from around the world about the various sightings of the day. Back at the Retreat, a Maasai warrior walks me back to my villa, making sure I am safe and sound with no unwelcome hippo visitors. I am staying in Villa Twiga (twiga is the Swahili word for giraffe), and I love the plunge pool with outdoor lounge area at one end, and the outdoor shower and beautiful tiled bath at the other. Inside, the huge bathroom looks out to the river, as does the massive bed, and once snuggled in it, mosquito net down, the sounds of the Ruaha and its inhabitants lull me to sleep. 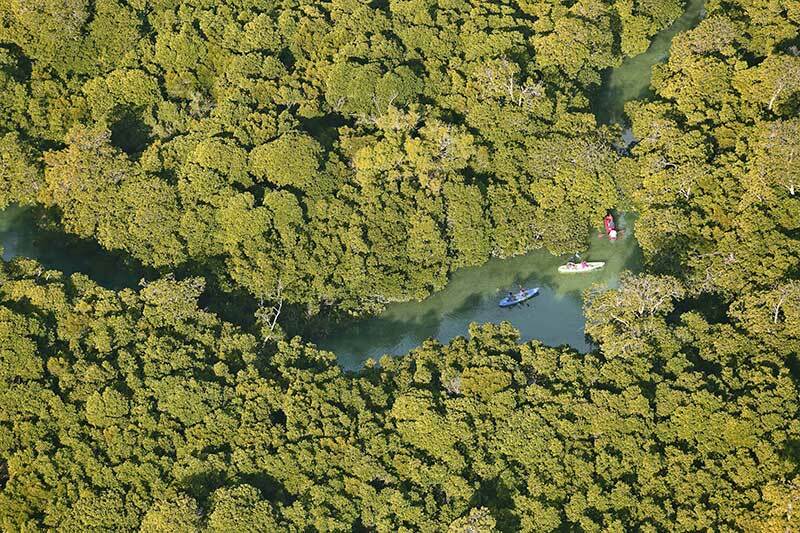 The helicopter flies over azure seas with mangrove-edged islands a contrast in green. 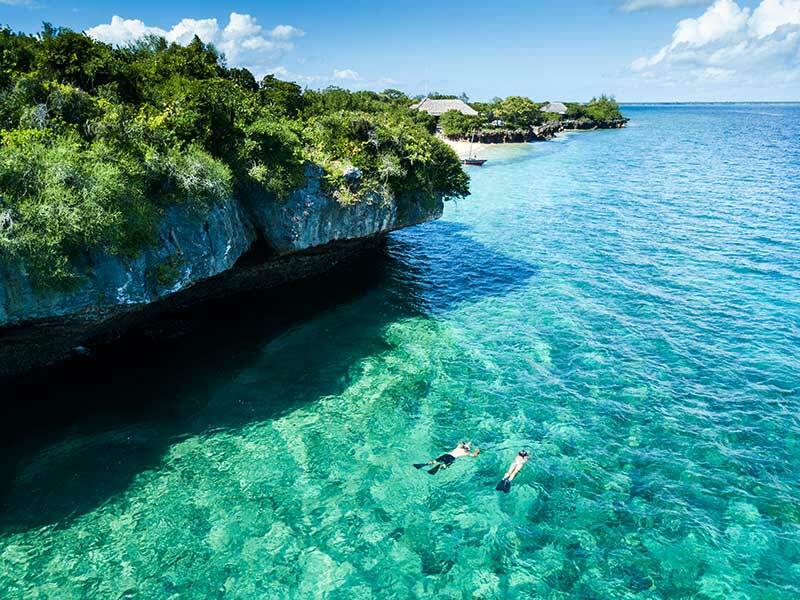 It looks like the Maldives, Tahiti or The Seychelles, but it is none of those. We are in Mozambique and our minds are about to be officially blown. We are flying from the beachside city of Pemba to Azura Quilalea Private Island, one of the southern most islands in the Quirimbas Archipelago. On the short flight, we marvel at the network of reefs in a patchwork of turquoise and swoop into land on our home for the next few days. Azura Quilalea Private Island is the perfect partner for a safari, with guests able to truly relax after the perennial quest for sightings in the game parks. The very eco-friendly island has nine villas hosting 18 guests in absolute luxury. My villa is steps away from the water, the house reef my playground several times a day. This island has the only house reef in Mozambique, and being in a marine sanctuary, the array of coral and fish is quite astounding. I also have a plunge pool and day beds for further chilling out, and I can feel myself totally relaxing for the first time in months. Diving is a popular activity for guests and the friendly water activities staff, led by the ever-smiling Preddy, conduct guided snorkelling tours should you want to go further than the reefs around the island. There are a number of other activities, including a sunset sail in an authentic dhow. We step on board the locally owned and built vessel and enjoy a pina colada as the sun drops towards the horizon with a vibrant orange glow. We also choose to do a tour to nearby IBO (it stands for ilha bem organizada or ‘well organised island’). The short helicopter ride gives a great aerial view of neighbouring Quirimbas Island before landing at IBO, a gaggle of shoeless local children coming to the sole airport building to say ola. Azura guests have a private tour, and during our time on the island we hear about its past with Arab, Dutch, Indian, and Chinese settlers that sailed through using it as a base and learn about its colonisation by the Portuguese. The once grand buildings were left untouched when the Portuguese up and left, the crumbling walls now doing battle with vegetation. Highlights of the island are Vasco de Gama’s house, the Pentagon-shaped fort and the traditional silversmiths who create beautiful jewellery before your eyes. 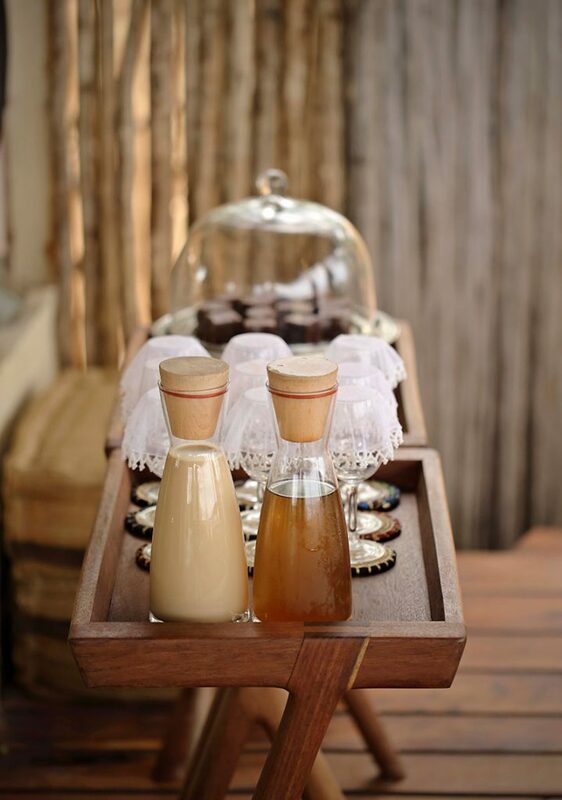 Back on ‘our’ island, we follow a lantern trail and enjoy a magnificent meal under three of the island’s 58 baobabs that are aged between 1,000 and 3,000 years old. On another occasion tables for two are set up on the beach, spaced suitably apart to offer everyone privacy, but all guests enjoy pre-dinner drinks together at the poolside bar first, where bartender Timatao shakes up killer pina coladas that are the best I have ever had. At the table under lantern light, sand between my toes and the sound of waves caressing the beach, I can see why many guests keep coming back here and stay at least a week. If only I could have stayed that long, as this place really stole a piece of my heart. Photography by Azura Selous & Azura Quilalea Private Island.